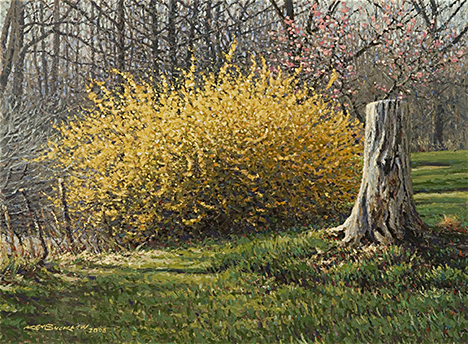 Along Big Four Road, near Freedom, Indiana, a large forsythia is flanked by a small peach tree coming into bloom. I thought the old tree stump was a nice contrast to the blooming bush next to it. Published December 9, 2013 at 468 × 344 in Main Gallery.